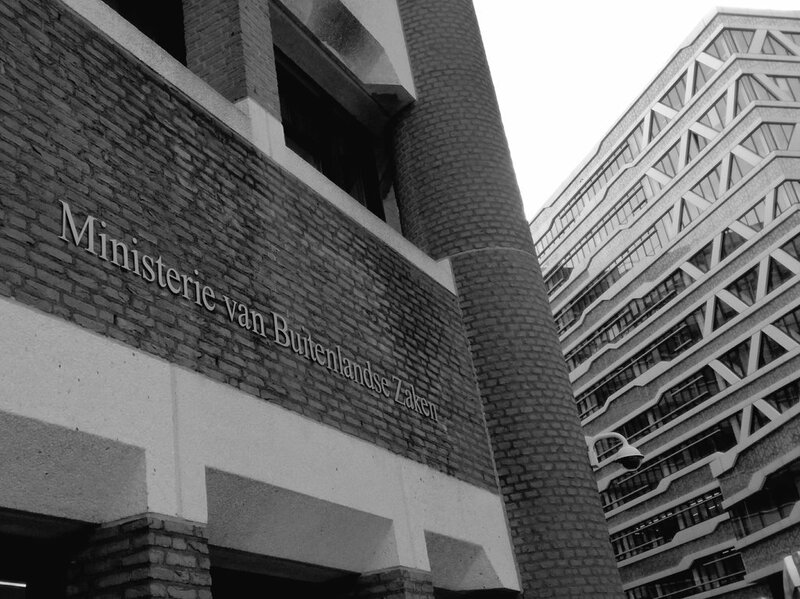 The 1st of March 2017, I was invited to give a presentation about Female Genital Mutilation/Cutting (FGM/C) in Africa at our Ministry of Foreign Affairs in The Hague. Several civil servants with different backgrounds, working for different departments (including the Task Force Women’s Rights and Gender Equality, Health and AIDS Division, and Sub-Saharan Africa Department) came to listen to my presentation. 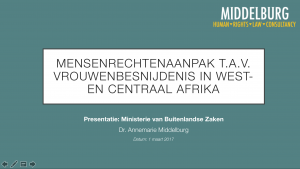 I presented the findings of my PhD research in Senegal, while focusing more broadly on the human rights approach towards eliminating FGM/C in West and Central Africa. I explained my main research question, the methodology of my (field)research in Senegal, the different parts of my research (theoretical framework, human rights framework) and I elaborated on my main research findings and conclusions. After my presentation, there was almost an hour for questions, which resulted in a fruitful discussion on FGM/C.